I eat a lot of carbs. I need to eat them to fuel for and recover from my running. A lot of those carbs come from whole grains, and I usually don’t have a lot of time to cook slow-cooking grains (wild rice, barley, etc), so we tend to eat a lot of quick-cooking rice and quinoa. While I like those two grains, I get a little tired of them. When I got the opportunity (through my Sweat Pink ambassadorship) to try Freekeh Foods, I was intrigued, and now that I’ve tried it, I’m happy to say that I’ve got another quick-cooking grain to add to my weeknight arsenal. What’s freekeh, you ask? Freekeh is cracked green wheat, and according to Freekeh Foods, people have been eating it for thousands of years. I guess I’m behind the times. Freekeh is prepared just like quinoa: boil it for 20-25 minutes. Its texture reminds me of barley, and the flavor is similar to brown rice. I had the opportunity to try the Rosemary Sage flavor and the original. I have to admit that the Rosemary Sage was a bit too sage-y for my taste, but the original was tasty and versatile. Freekeh’s nutritional profile is what makes it a stand-out grain. With 130 calories, 6 grams of protein (the same amount as quinoa), and 4 grams of fiber, freekeh makes a nutritious side dish, breakfast porridge, or star player in the various recipes available on Freekeh Foods’ website. Want to try Freekeh for yourself? Freekeh Foods is giving one reader a copy of their cookbook, 30 Ways to Freekeh!, and a package of Freekeh (Rosemary Sage, Tamari, or Original). To enter, follow this link to the Rafflecopter! If you don’t win (or even if you do) and still want to try freekeh, shoot me an e-mail (use the “Contact Me” link at the top of the page) and I’ll mail you a $.50-off coupon! My good friend Sarah asked me to write a post giving some suggestions for healthy breakfasts. Since Sarah is my only reader one of my most loyal readers, I am more than happy to oblige. Breakfast can be a challenge. We all know we’re supposed to eat breakfast, but mornings are rushed, and it’s easy to hustle out the door without eating (actually, I never do that. I’m starving in the mornings) or grab a PopTart or a doughnut. 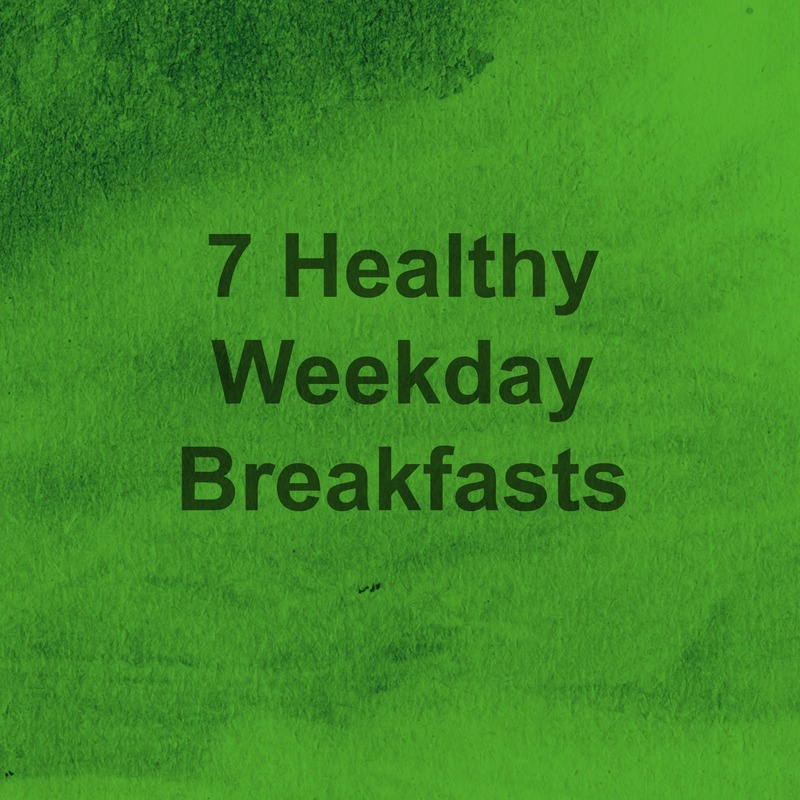 But breakfast doesn’t have to be challenging; with a little bit of forethought, it’s easy to eat a quick meal full of nutrition to start your day on the right foot. Breakfast should contain carbs, fats, and proteins to keep you full and energized through the morning, and all these breakfasts fit the bill. I’ll split them into two categories: those that you can make ahead of time and those that require a (very) little bit of preparation in the morning. 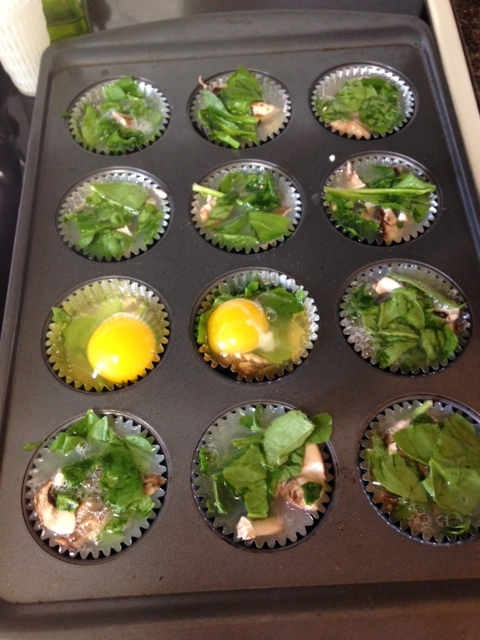 Egg muffins. These little guys are basically a frtitata in an easy-to-grab format. 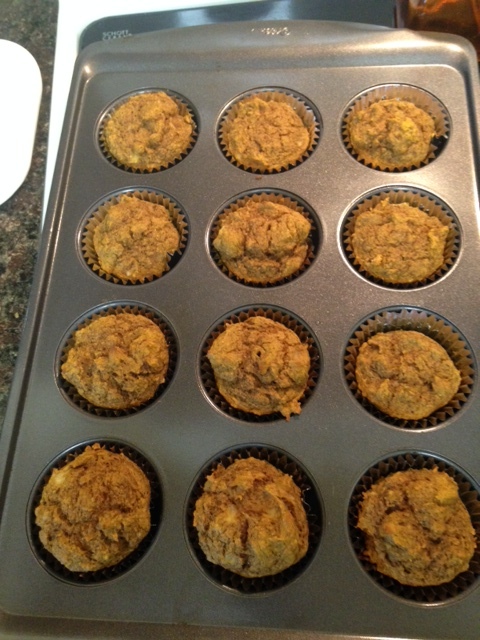 The beauty of these is that you can throw in whatever veggies you like; just dice them up, put them in a muffin tin (either use liners or grease the tin really well), and pour beaten eggs or egg whites on top until the muffin cups are nearly full. (You can also just break an egg on top of your veggies). Bake at 350 for 12-15 minutes, until they’re set, and ta-da! breakfast for the week. In the morning, pop a couple of muffins in the microwave, wrap in a whole-wheat tortilla (if desired), add a piece of fruit on the side, and you’re good to go! (I ran out of egg whites, hence the two whole eggs). Overnight oats. Are these still trendy in the healthy-living blog world? En vogue or not, this is another easy grab-and-go breakfast (as long as you can eat it at work. No spooning while driving). In a jar, stir together oats, milk (dairy or non) or yogurt, protein powder (optional — if you’re using a low-protein milk like almond, I’d definitely throw in protein powder), nuts or peanut butter, and a banana or blueberries. Screw on the lid, and put it in the fridge. In the morning, stir it again and eat it. Muffins/quick breads. Google “healthy muffin recipe” and you’ll get millions of results. Whip up a batch on Sunday, and for the rest of the week, just slather one or two with peanut butter and add a side of fruit. Egg sandwich. Beat two eggs in a microwave-safe bowl. Throw in a handful of spinach. Microwave for about a minute, stir, and microwave for about 30 more seconds. Place eggs between two pieces of whole-grain toast. Eat. Oatmeal. This time of year, cold overnight oats just don’t do it for me. Luckily, hot oatmeal takes only a couple of minutes. I use old-fashioned oats, add fruit or pumpkin; egg whites or protein powder; and walnuts, flaxseed or peanut butter for some healthy fats. If J and I are carpooling, I eat in the car; otherwise, I make these in a Tupperware (or a cottage cheese container), toss it in my lunch bag, and eat it when I get to work. Smoothies. Green smoothies are definitely still trendy, and for good reason — they’re quick, easy, and portable, and they give you a serving of veggies without tasting like a serving of veggies. My go-to mix is almond milk, spinach, frozen mixed fruit, egg whites or protein powder, and flax or chia seeds. None of these breakfasts are exactly earth-shattering, but they’re simple, tasty, and healthy. What are some of your go-to weekday breakfasts? 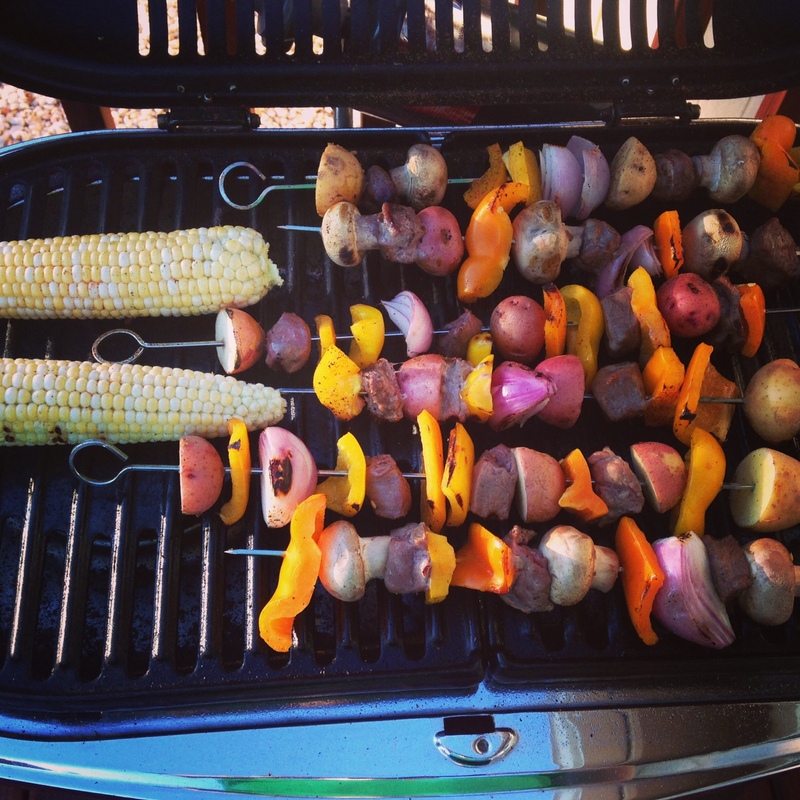 Are you a weekend food-prepper, or do you make everything as you go? A few weeks ago, I got an e-mail from a company called Skoop. The e-mail explained that Skoop is a small company out of Boulder that makes protein and supplement powders, and it asked if I’d like to try their products. I checked out their website, and I started to like the company before I even tried their products. I like companies with personality, and Skoop’s “Simple Care and Feeding for Human Beings” instruction manual and fun charts and graphics made it a likable company from the start. I agreed to try the product because I wanted to know if the product could match that personality. Disclaimer: Skoop sent me their products to try in exchange for a review. I wasn’t compensated in any other way, and the opinions here are my own. I wouldn’t lie to you just to get some free protein powder. Skoop sent me a bag of their B-Strong protein powder, as well as some samples of their A-Game superfood supplement and B-Lovely supplement for skin. All of Skoop’s products are gluten-free and non-GMO (neither of which are important to me, but they might be for you), and all consist only of natural, plant-based foods. B-Strong is one of the tastiest plant protein powders I’ve tried. 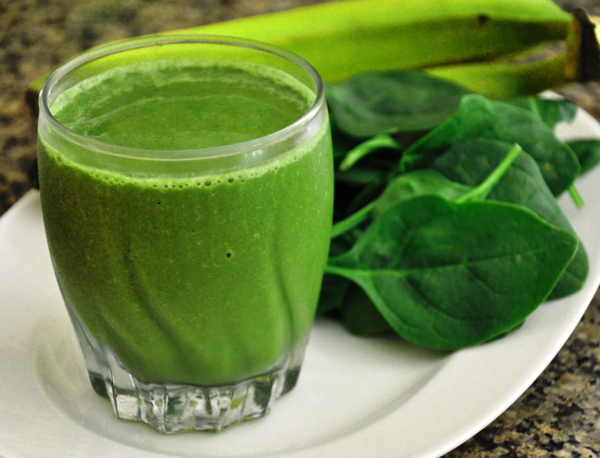 Most are chalky and have a distinct aftertaste, even when mixed in a smoothie. B-Strong doesn’t have that aftertaste or that off-putting chalky texture. It’s even not too bad mixed with only water (usually powder-and-water blends make me want to gag. This one’s not exactly delicious on its own, but it’s better than most. And it’s tasty with almond milk). Filled with vitamins and minerals, 16 grams of protein, Omegas, and antioxidants, and without weird chemical ingredients, B-Strong makes a good post-workout drink or addition to a more-substantial smoothie. I’ve been using it in overnight oats lately, and it’s mighty tasty that way, too. A-Game is a powder made with 41 “superfoods,” from veggies and fruits to probiotics to herbs and extracts. For 50 calories, A-Game supplies five grams of fiber and a ton of nutrients. I tried the Sweetgreens flavor, and while it was a bit… interesting … on its own (even Skoop describes it as an “acquired taste), I couldn’t even taste it when it was mixed in smoothies or oatmeal. I consumed a packet of A-Game on a couple of days that I knew my veggie intake would be less than ideal; starting the day with A-Game ensured that I was at least closer to getting the nutrients I needed than I would be otherwise. B-Lovely is a powder that’s formulated to “protect, support, and nourish” your skin. Like the other two powders, B-Lovely is a blend of plants and extracts. I was sent only three packets of this one, so while I can attest to its decent fruity taste, I can’t really give information on its effectiveness on my skin. Overall, I’m impressed with Skoop. Its only drawback is the price. B-Strong runs $67 for a 30-serving bag; A-Game, $65; and B-Lovely, $47. High-quality protein/supplement powders are expensive. I get it. But that’s simply not in my budget. If it fits in your budget, though, Skoop is a great product, and I definitely recommend it. Have you ever or would you ever try Skoop? When people find out how much I run, their first question is usually, “WHY?” I understand why they ask that — I do a run a lot for a recreational runner, and it might not make much sense to log so many miles when I’ll never be an elite. But the answer is simple: I love it. It makes me happy. It’s a major part of who I am. I’d love to credit the source for this picture, but I have no idea where I got it. I saw it quite some time ago and saved it to my phone. Oops. The next question people ask when they find out how much I run is, “How do you run so much without getting injured?” The answer to that one is more complicated, but there is a method to my madness. The term “high mileage” is subjective, of course. What is high for me may not be high for you, and vice-versa. These tips, though, are applicable to most runners, whether you’re building to 30 miles or 130 miles per week. (I probably don’t need to explain this, but I’m just an English teacher who runs a lot; I’m not a running expert. These are methods that I’ve researched and that have worked for me, but you should always take the advice of professionals over the advice of some gal on the Internet). 1. Build slowly. I’ve been running a long time. I did not go from running 20 miles a week to running 70 miles a week in a couple of months. It takes years. The general rule of thumb is to increase mileage by no more than 10% each week. Every 3-4 weeks, plan a cutback week, where you reduce your mileage by 20-30%. That allows your body to adapt to the demands you’re placing on it. After a big training cycle, taking a few weeks or months of reduced mileage is also a good idea. Let your body recover completely before you start building again. 2. Keep easy runs easy. I was a slow learner on this one. 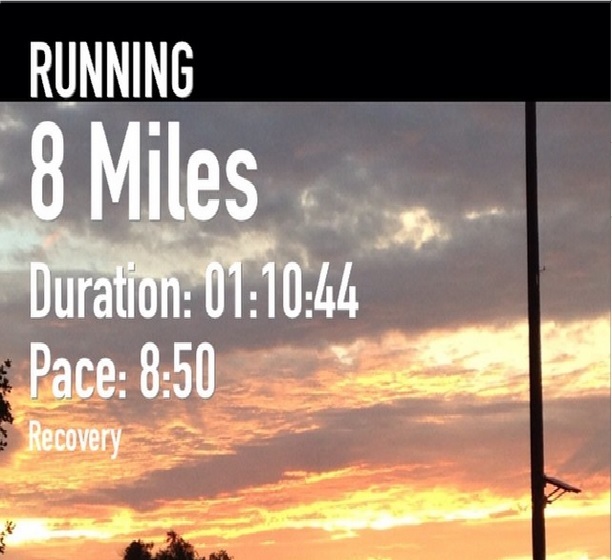 For a long time, I was convinced that running some runs slowly would make me slow always. How wrong I was. Easy runs have specific purposes: they help you recover from hard days, and they build endurance without overtaxing your body. 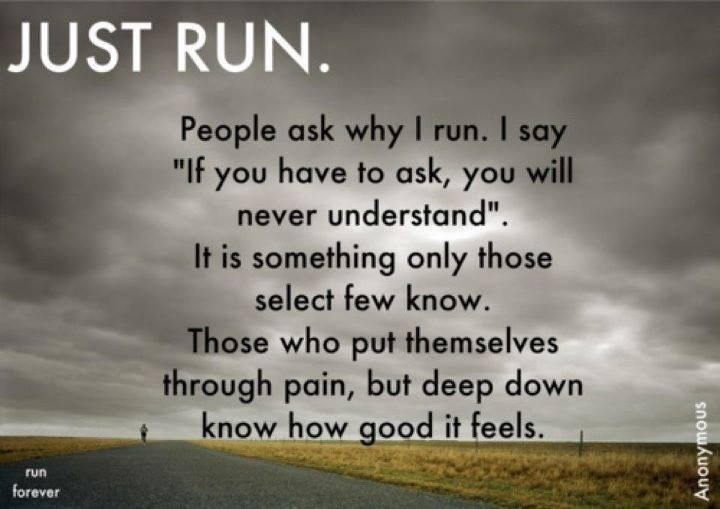 If you push too hard on your easy days, you negate the whole purpose of the run. Nowadays, my pace on easy runs is at least a minute slower than marathon pace, and usually slower. This was Tuesday’s run. I had hard workouts Monday and Wednesday, so a slow and easy pace Tuesday helped me recover from Monday and hit all my paces on Wednesday. Don’t blow off the easy runs. Keep them easy, and you’ll be faster for it. 3. Strength train. I don’t love strength training, but it keeps me healthy. I don’t do anything fancy, especially not during peak training. A twice weekly, simple routine of various squats, lunges, deadlifts, push-ups, pull-ups, dips, etc., plus core work nearly every day, keeps my muscles strong, prevents imbalances, and helps me keep good form when I’m fatigued — all of which reduce the risk of injury and allow me to run more. 4. 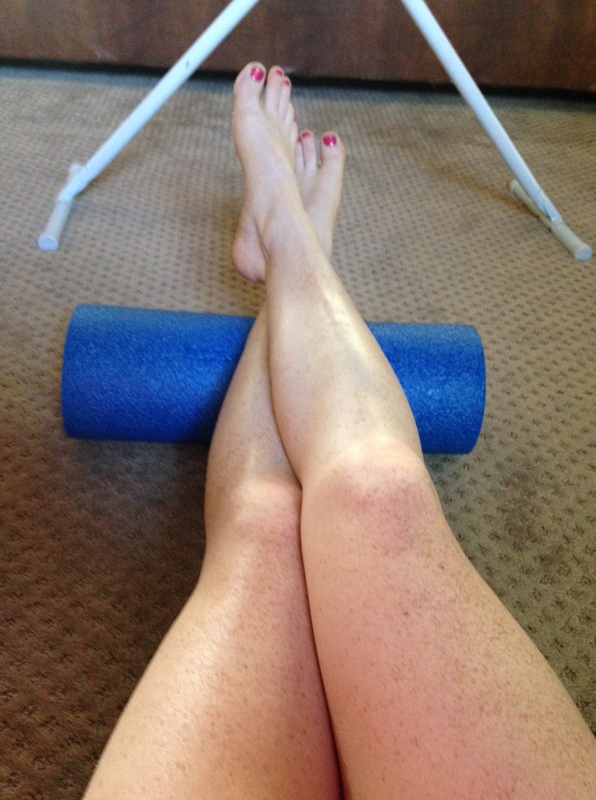 Foam roll. I know, it’s not fun. But that little foam beast is a miracle worker. It loosens tight spots and helps with recovery, and a few minutes of discomfort is worth it for a lot of minutes of injury-free, high mileage running. Hurts so badly. Does so much good. 5. Eat well, and eat enough. You don’t put dirty, sketchy gasoline in your car and expect it to run well, do you? And you don’t expect to drive 300 miles on two gallons of gas. Why expect the same out of your body? Your diet doesn’t have to be perfect, of course (because what is a “perfect” diet, anyway? 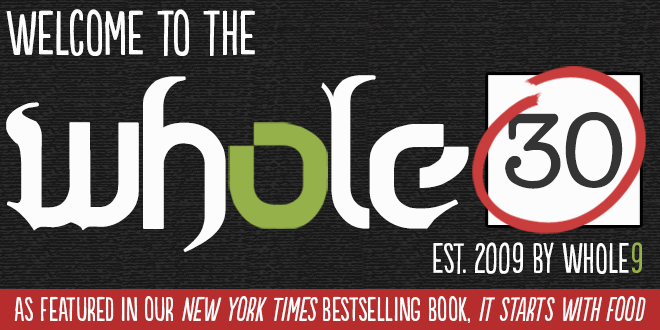 ), but eating nutrient-dense whole foods (and enough of them!) and limiting junk provides your body with everything it needs to support and maintain high mileage. Did I eat half of this food and a giant salad? Why yes, yes I did. None of this is profoundly insightful, of course, but sometimes I think we make running more difficult than it should be. As you build your mileage, just take it slow and take care of yourself, and you’ll be just fine! 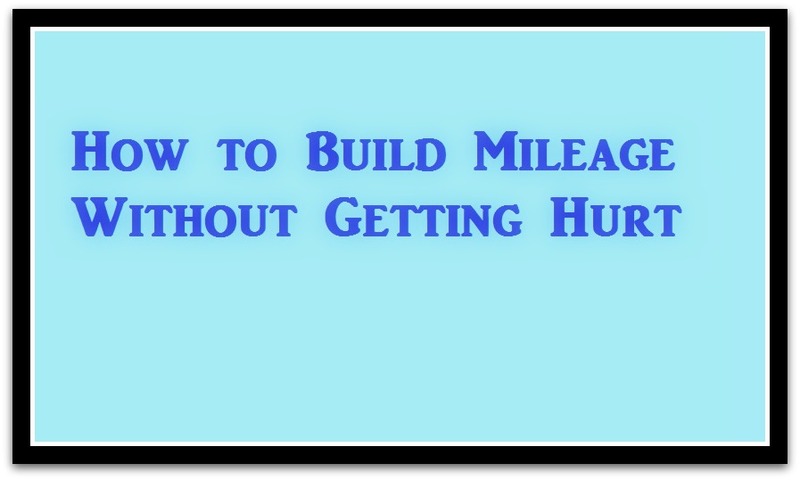 What other tips do you have for building mileage? What’s the most weekly mileage you’ve done? I am absolutely not a food blogger. I love to cook (and eat!) delicious, nutritious foods, but I tend to follow recipes, not invent them. And even if I did invent unique and delectable recipes, I am certainly not a food photographer. Staging it, making sure the lighting is right, taking its picture…. all before eating it? Not this girl. Luckily, the Internet is a huge place filled with bloggers with much more talent than I. So without further ado, I bring you some of the tastiest things I’ve made lately from recipes created by those talented bloggers. All the images are borrowed from and link back to the original post. Mexican Quinoa and Sweet Potato Casserole from Fit Foodie Finds. This is really delicious and incredibly easy to make. One-pot dishes are the best for busy days, and this really fit the bill. And it makes quite a bit, so we had plenty of leftovers for lunches all week. This soup is amazing. Seriously, cancel whatever you had planned for dinner and go make this. I just keep making it and packing it for lunches every week. 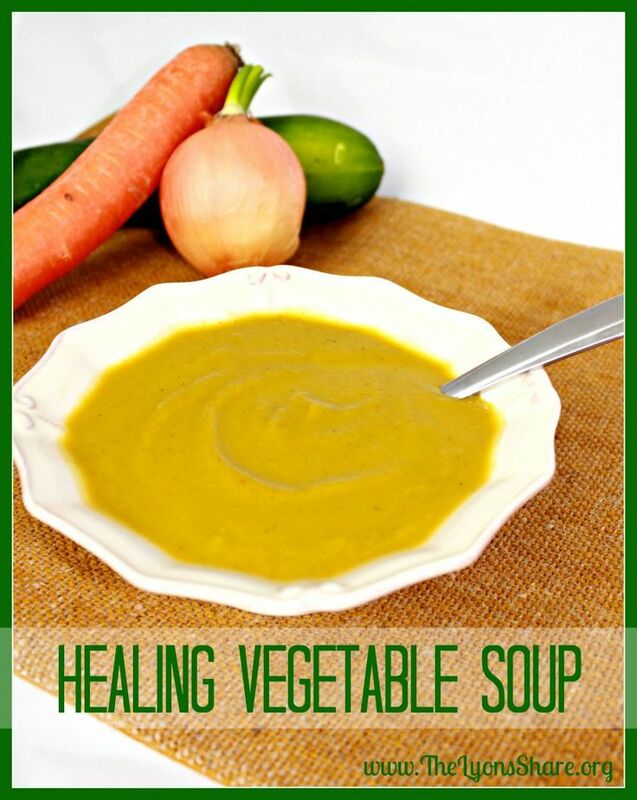 Delicious and chock-full of vegetables? Winning! I just recently discovered Tina’s blog, and it’s quickly becoming one of my favorites. Tina is a wicked-fast elite marathoner, and she posts wicked-tasty recipes that are also excellent running/recovery fuel. This stir fry is fast enough for a weeknight and way tastier than my usual stir-fry recipe (which is really not a recipe so much as “throw some meat and veggies in a wok with soy sauce”). These are terrific for breakfast alongside my usual smoothie. And they came together really quickly, too. I didn’t even have chocolate chips, and they were still yummy. Definitely try out these recipes and check out the four blogs they link to. All are wonderful (and have way better pictures than I ever do). Find or make any good ones lately? Feel free to link up in the comments! Happy Thursday, friends! I’m feeling very festive tonight, as we had our Secret Santa party at work. Secret Santas are so fun, and I had a great one this year. Not sneaky, but great. I got a lot of coffee and tea and three new mugs. Niiice. 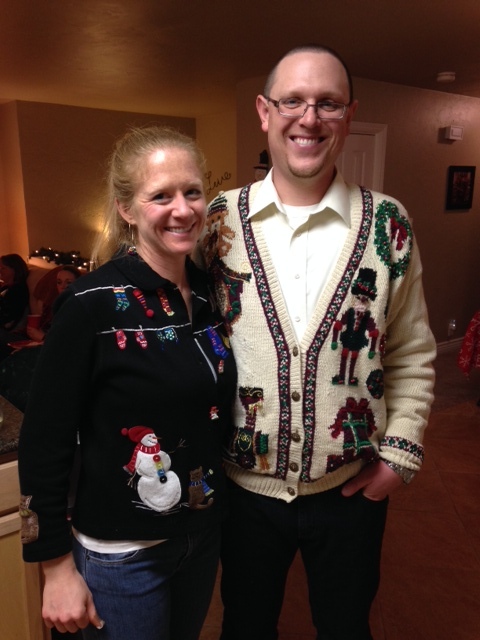 Jordan and me looking good in our ugly sweaters. Here are some links to the healthy things I served last weekend. All were tasty, and none were challenging. I fully intended to take pictures of the food once it was on the table and looking pretty, but naturally, I was rushing right up to the last second to get stuff done before people started showing up. But that’s ok; I stole all the pictures below from the original recipes, and they’re way prettier than mine would have been anyhow. If you’re hosting a party or simply bringing a dish to one, I hope these recipes give you some inspiration! You just get the link to the picture on Pinterest, because it doesn’t go anywhere else. 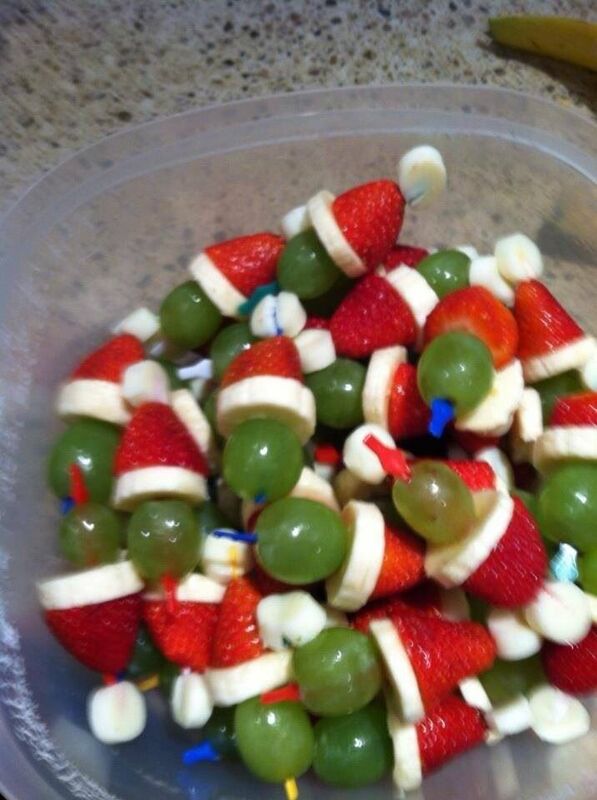 But they’re grapes, bananas, strawberries, and mini marshmallows. I don’t think you really need a recipe. Cinnamon butter pecan sweet potato bites. Dates with olive oil and sea salt. Holy cow, this were amazing. And so easy. I don’t think I’ll ever eat another date that hasn’t been sauteed in oil and sprinkled with salt. Yummo. Honestly, I did not follow this recipe at all. I just saw the picture on Pinterest and thought it was cute. 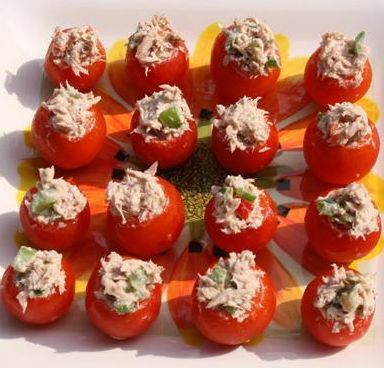 I just mixed tuna with pre-made guacamole, then stuffed it in tomatoes. Easy, cute, and yummy. Fun fact: I’m terrible at following recipes. I didn’t follow this one very closely, either. And I used turkey. But they were good, even with all my substitutions, and I’m sure the original is good, too. I also chopped up a bunch of different veggies — red and green bell peppers, carrots, celery, broccoli, sugar snap peas — and set them out with store-bought hummus. You can’t go wrong with veggies. What’s your go-to holiday party dish? Any fun parties on your docket? Tell me about them! I always wish that we had a fancy party to go to, but teachers don’t really get those. First of all, thanks so much for all the sweet comments on my race recap! I’m actually enjoying a few days of recovery. I did really want to run today because the weather was gorgeous, but I opted for a walk instead. I was glad I did when I ran across the street to beat the stoplight and my legs screamed, “NO! We’re not ready to run yet!” Such melodramatic legs. But that’s not what I’m talking about today. I vaguely mentioned last week that my eating habits post-marathon would be undergoing an overhaul, and that they are. On Monday, I started the Whole30. In a nutshell, it’s 30 days of no grains, beans/legumes, dairy, sugar, or alcohol, and a lot of veggies, fruits, nuts, and meats. But then I read a few blog posts from bloggers I respect that talked about how the Whole30 cleared up allergies, asthma, and acne, and, most intriguing to me, solved ongoing digestive troubles. Those posts interested me enough to buy the book, It Starts With Food, and see what it had to say. I don’t talk about this much (on the blog or in real life), but for a long time, I’ve had digestive issues. And because I don’t talk about it to any but my nearest and dearest, that’s all the info you get. Sorry, internet, but you’re not my best friend. Yet. In addition, my 28-year-old skin thinks it’s necessary to break out like a 14-year-old’s. Which is super awesome. I really believe that these two problems must be related to what I’m eating. And reading It Starts With Food made that belief even stronger. I’ve been to three different doctors for these troubles, and none of them were much help. The first was my gyno, who referred me to a gastroenterology clinic. The doc there wanted to stick me on some drug (and acted like I was a complete moron for asking basic questions about said drug). The third doctor actually ran some tests for celiac, thyroid disorders, etc., but when they came back negative, said, “I guess that’s just how you’re made.” Not one of them asked about my diet. So I figured that instead of dropping endless $60 copays for no help, I could try cutting some food groups for 30 days. Just to reiterate: I’m not doing this to lose weight. In fact, I expect to gain 2-3 pounds over the next couple of weeks, because I usually do when I ease up on training post-marathon. So please don’t yell “You don’t need to lose weight!” at me. That’s not the goal here. The way I see it, if it works, cool. I will have saved money, discovered the root of the problem and, most importantly, be feeling better. If it doesn’t work, all I’m out is 30 days of peanut butter (and other stuff, obviously, but I sure do love PB). Three days in, I can’t really say too much about it. I can say that eating a lot of fat (as per the program) is weird but satiating. I haven’t had the headaches, brain fogginess, or fatigue that the book warned could happen in the first week (knock on wood). I hope that because I don’t each much sugar anyway, this won’t be as hard for me as it is for some other people. It probably also helps that I’m not working out so my body’s not craving the carbies like normal. So, that’s the road I’m on right now. I’ll let you know in 30 days what I learn. Have you or anyone you know done the Whole30? What did you think?